We are of the opinion that a person should be a resident of a legally constructed house for being entitled to be enrolled as an elector, the Bench observed. 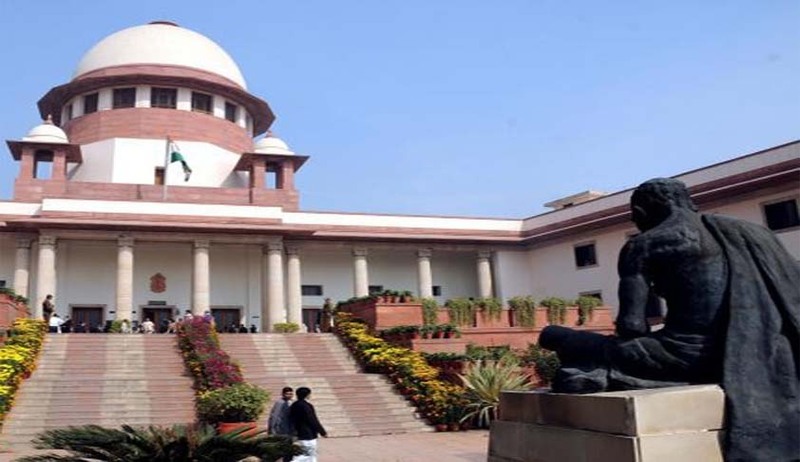 The Supreme Court in Cantonment Board, Panchamarhi vs. Gopal Das Kabra & Ors has held that persons who are living in the cantonment area in illegally constructed houses, which are not assigned any number, will not be entitled for inclusion in the electoral roll to be prepared in accordance with Rule 10 (3) of the Cantonment Rules. The Bench comprising Justice Anil R. Dave and Justice L. Nageswara Rao, referring to various provisions of the Act, also held that persons, who were ordinarily residing and carrying on business for temporary periods in illegally constructed houses, were not eligible to vote in the Cantonment Board elections. The Supreme Court dismissed an appeal filed by the Cantonment Board and another person challenging the judgment of Madhya Pradesh High Court which had held that an encroacher cannot be an elector. The court observed that the scope of word ‘resident’ as defined in the Cantonment Act, 2006, is completely different from that of ‘ordinarily resident’ as defined in the Representation of the People Act, 1950, and the restrictive definition of a ‘resident’ in the Act is peculiar to the cantonments whereas the definition of ‘ordinarily resident’ is very wide. Even if a person is residing in an unauthorised structure, he will be entitled to be included in the electoral rolls under the Representation of the People Act, the Bench said. The court also distinguished between the terms “resident” and “inhabitant” used in the Act by observing that the word ‘inhabitant’ as defined in Section 2 (zc) of the Act is very wide, covering persons who ordinarily reside or carry on business or occupy immovable property, whereas the word ‘resident’ means a person who maintains a house at all times, which is available for occupation. The fact that the word ‘resided’ and not ‘inhabited’ is employed in Section 28 for the purpose of eligibility of persons to become voters makes it clear that persons who were ordinarily residing and carrying on business for temporary periods in illegally constructed houses are not eligible to vote, the court said. Dismissing the appeals, the court also observed that prompt action has to be taken by the authorities concerned for the removal of the illegally constructed buildings in the cantonment area and the Board should be vigilant and ensure that no further encroachments are made on defence land.